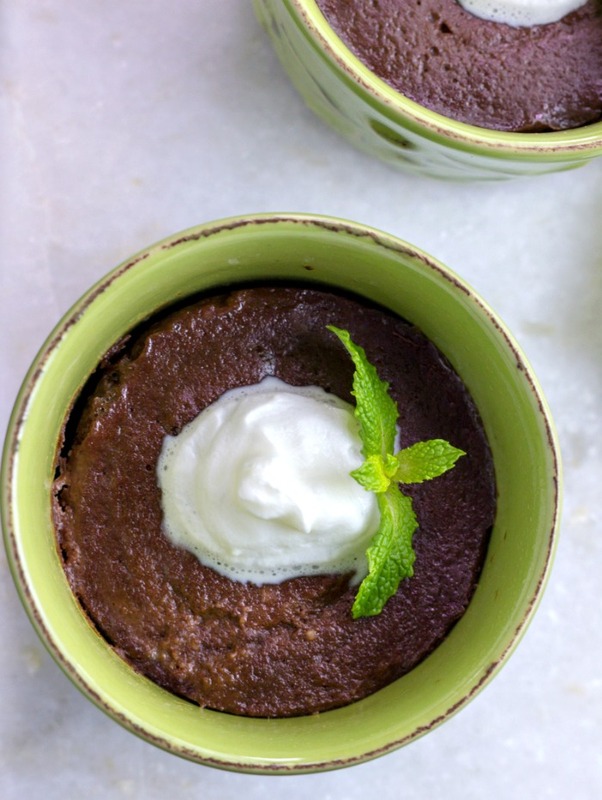 These Keto Instant PotⓇ Molten Brownie Cups are low carb, grain free, gluten free, super fudgy and insanely good! 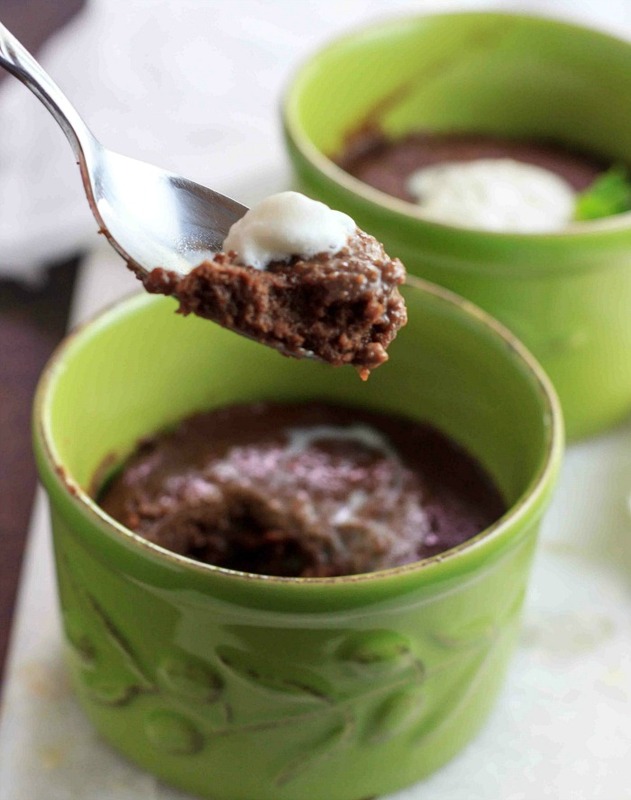 Moist and fudgy brownies with a warm creamy soft molten fudge center, these keto brownie cups are so rich and decadent and very simple to make in the Instant PotⓇ. If you don’t have an Instant Pot, then you can make these in the oven as well. Just place the ramekins on a baking sheet and bake at 425 F for 14 to 15 minutes or until just the center part looks underdone. My son was amazed that these are low carb and sugar-free. He said it was the best low carb chocolate brownie I’ve made. He just loved the creamy chocolaty center. 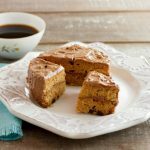 Even the hubby loved these and he usually crinkles his nose at most low carb desserts. The ramekins can be stacked to fit in the Instant Pot on the trivet. On the stovetop in a small saucepan over medium-low heat, add sugar-free chocolate chips and butter. Stir and heat until melted and blended. Remove from heat and set aside. In a large bowl combine: eggs, Swerve sweetener, almond flour, and vanilla extract. Whisk to mix thoroughly. Pour the melted chocolate mixture into the egg and flour mixture and whisk to combine thoroughly. 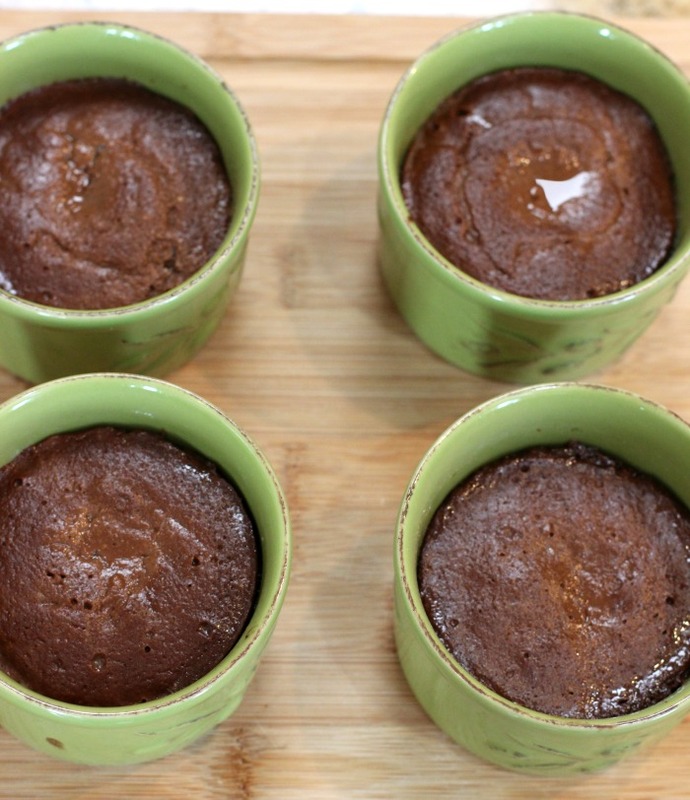 Fill each ramekin halfway full with the brownie batter. Add 1 ¾ cup water to the inner pot of the Instant Pot and place the steamer rack (trivet) into the inner pot. Close and lock the lid. Flip the pressure release handle to the Sealing position. Select the Pressure Cook (Manual) on High-Pressure setting and use the + or – buttons to set the cooking time for 9 minutes. Once the cooking time is complete, carefully (using oven mitts or a wooden spoon to flip the steam release handle to Venting and keeping face & hands away from steam) use the Quick release method to release all the pressure. Once the all the steam has released and pin drops, open the lid and Carefully using oven mitts remove the ramekins from the pot. Let cakes cool for 5 to 7 minutes, and serve warm. Garnish with sugar-free whipped cream if desired. Place the ramekins on a baking sheet and bake at 425 F for 14 to 15 minutes or until just the center part looks underdone. 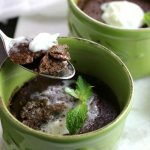 Keto Instant Pot Molten Brownie Cups are low carb, grain free, gluten free, super fudgy and insanely good! Close and lock the lid. Flip the pressure release handle to the Sealing position. Select the Pressure Cook (Manual) on High-Pressure setting and use the + or - buttons to set the cooking time for 9 minutes. Follow steps 1 through 5 above, and then place ramekins on a baking sheet and bake at 425 F for 14 to 15 minutes or until just the center part looks underdone. I LOVE those ramekins! Would you tell us the brand prettu please? How well do they keep in the fridge and for how long? Could you freeze after removing from the ramekin and microwave to reheat?! They will keep in the fridge for 5 to 6 days. I’m not sure about freezing and reheating as that may overcook them. Dang-it I didn’t see this until I ate 3 of them! Hahaha 😂🤣🤦🏼‍♀️🤦🏼‍♀️ Thought I would put last one in the fridge to see how it would be later. These came out amazing! Used Monkfruit sweetener. Can this be done in the microwave? WHAAT???? 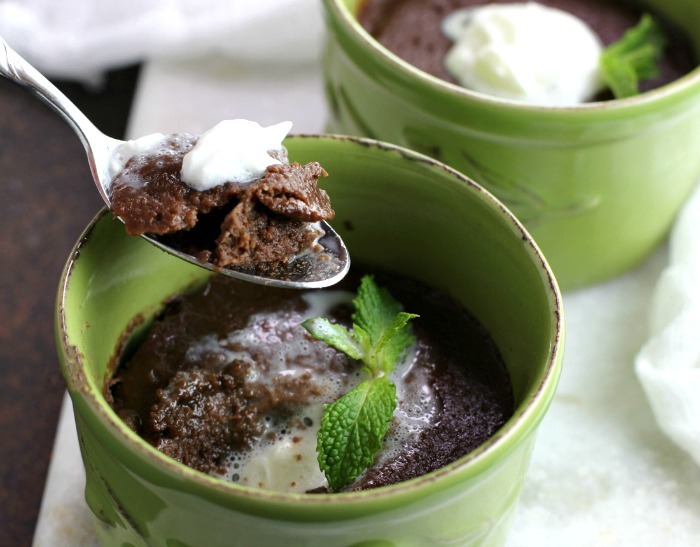 OMG your brownie cups look amazing and they are dairy-free too! Yes! I’m making this for a treat asap. Thank you, Kelly. Not completely Dairy free, it has butter in it. 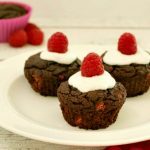 Can never say no to brownie cups especially made in Instant Pot ! Oh yum!!! I could really go for this right now. I am craving chocolate big time and this looks perfect. I love a good brownie! 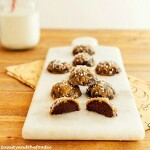 These looks so easy and delish! SOLD! 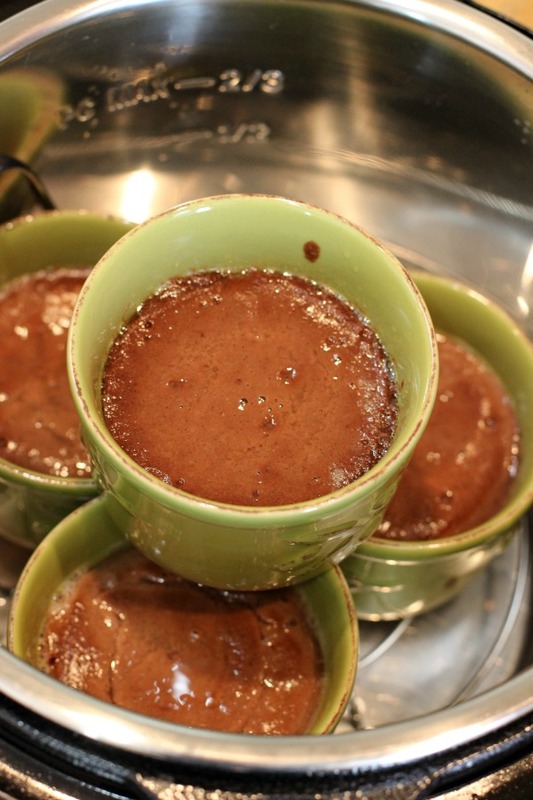 I am a sucker for quick instant mug cakes likes this! Almost a bit too easy!! Looks scrumptious! Yum! I still have yet to make desserts in the Instant Pot, and I need to. These look easy enough to try out and I love how decadent they look! 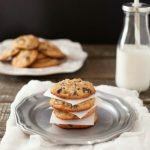 Not all desserts work out in the Instant Pot, but some are even better in it!